How should a licensee describe parking stalls and storage lockers when listing a strata lot for sale? 36 SAFE HOMES: YWCA Alder Gardens in Surrey, a $12.5 million project by BC Housing, the federal government, the YWCA and Surrey (which donated the land) will provide three dozen safe homes for abused women and their children. 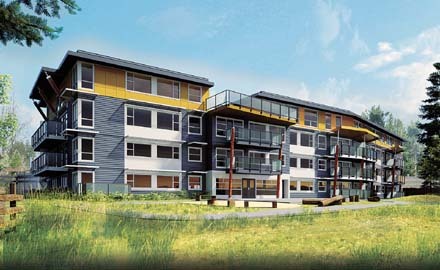 The project is a finalist for the 2011 Fraser Valley Commercial Building Awards. Awards will be announced on May 26 in Langley. You are currently browsing the Les Twarog Vancouver Real Estate and Condo Blog blog archives for May, 2011.